Description Whoa! So you tie shrimp and crab imitations? 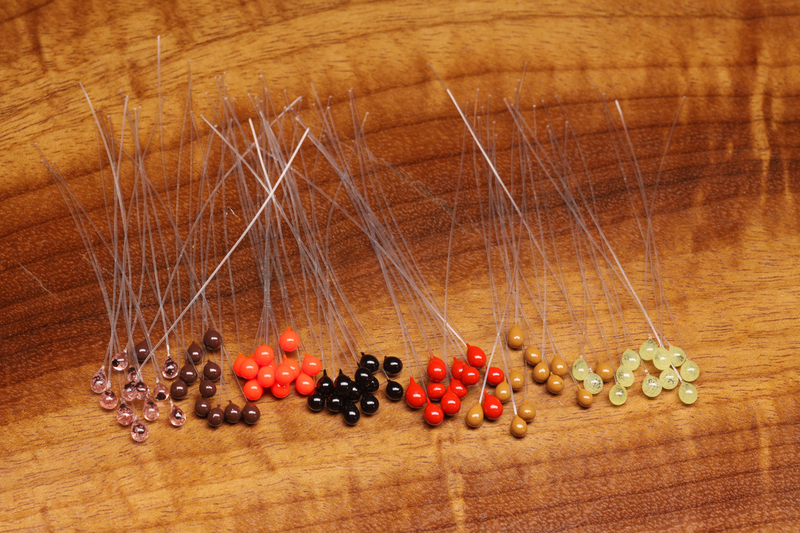 For Steelhead Intruders, Chinook estuary flies, Permit, bonefish, and Carp too. Did you know that a Carp fly tied with these epoxy eyes will catch 7.3x more Carp than an identical fly tied without the eyes? Just kidding, however, these eyes are beautiful and available in over a half dozen colors like Fluorescent orange, standard black, tan, amber, red, shrimp pink, and brown. We have tied some Salmon flies that we are ready to put to the test and just know they will be the yummy fly this season. Getting ready for your salt water trip this year? 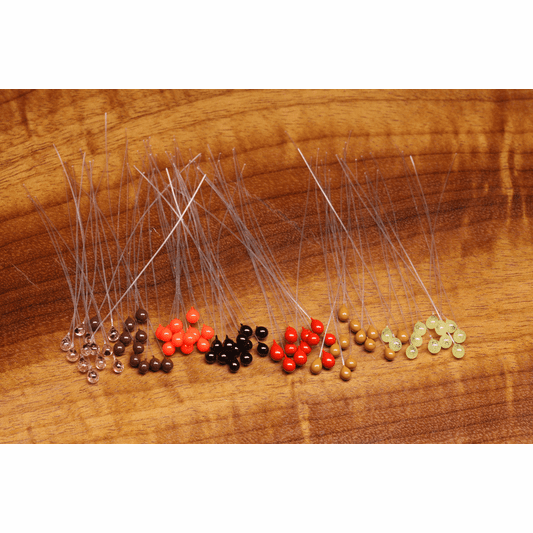 Give these epoxy mono shrimp eyes a try, we believe you will love them. We invite yu to consider also our selection of foam body cutters, natural and synthetic fly tying materials, body and leg materials, Enrico Puglisi crab and shrimp eyes, and rainbow beads for your fly tying bench. Thanks, we have more fly tying materials and vises, but you already know that, right? Uh-oh. Cements and glues; don't forget your epoxy!